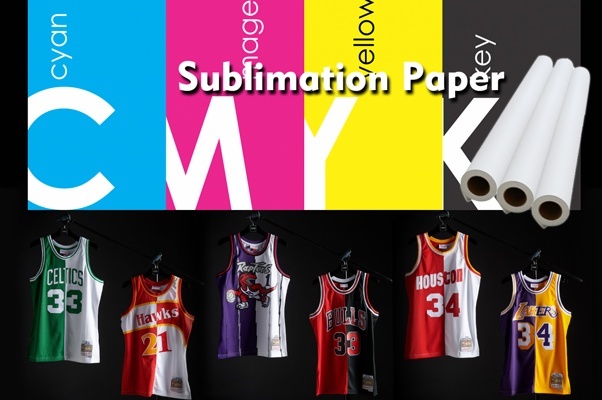 How To Sublimate Tacky Sublimation Paper For Sportswear - Fei Yue Digital Inc. Tacky sublimation transfer paper, It can suit for Lacra, Polyester. and Polyester with Spandex textile. Because these kinds textile has the shrink, so easy to have double image.Tacky sublimation paper with its special tacky layer is suitable for sportswear and swimsuits. During the heat transfer process, the paper will stick to the surface of your product tightly and will eliminate the ghost due to movements of the transfer process. Therefore, it will improve production quality by reducing production errors. The most important factors of high tacky sublimation paper, are the adhesion and drying speed. Do you know the process of making a sportswear with sublimation printing? Here are the details. 1. Design your image. You can design and create your favorite image by your computer. 2. Print it out. Don’t forget the mirror before print it out. 3. Line up your image & make it clear and neat. 4. Use the heat press machine to press the image onto your sportswear. We recommend pressing time no longer than 40 seconds and degrees from 195℃ to 205℃. 5. Remove the sticky sublimation paper.